exhibition history: "What's Going On? California and the Vietnam Era" Exhibition at the Great Hall, August 28, 2004-February 28, 2005. Trial book titled " Case No. 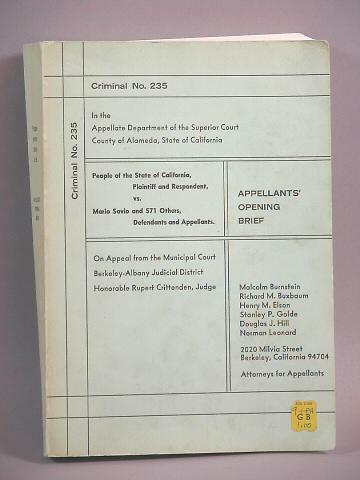 235, In the Appellate Department of the Superior Court, County of Alameda, State of California, Pleaople of the Stateof California, Plaintiff and Respondent vs. Mario Savio and 571 Others, Defendants and Appellants."